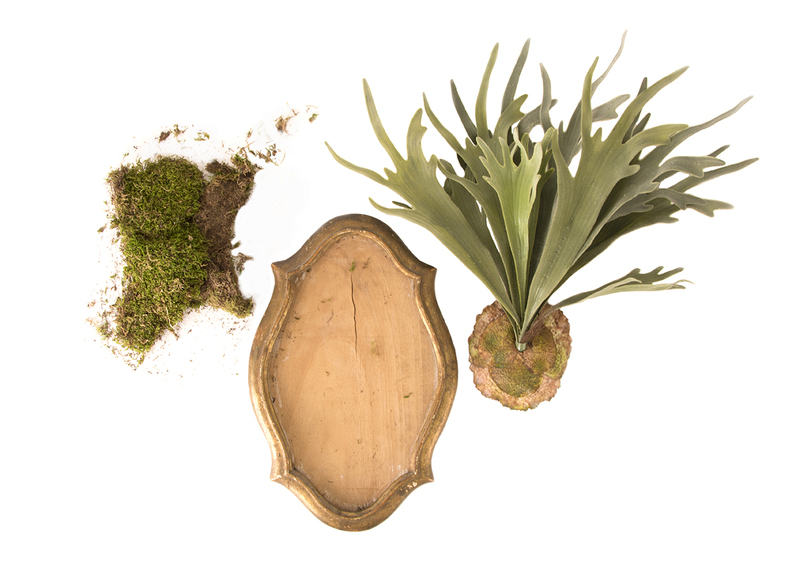 Terrain, sister brand to Anthropologie, sells high-end faux options including (back left to right) a fiddle leaf fig tree, an aloe plant, and a staghorn fern at shopterrain.com. Nothing can replace the satisfaction of watching a new frond uncoil on your kitchen-counter fern or seeing a monstera reach to fill a living room corner with tropical drama. Indoor gardening is as entertaining as it is therapeutic. But let’s be honest: bright, indirect light is harder to come by than House Beautiful reveals, fiddle leaf figs are devilishly finicky, and even the most well meaning grower can forget to water. 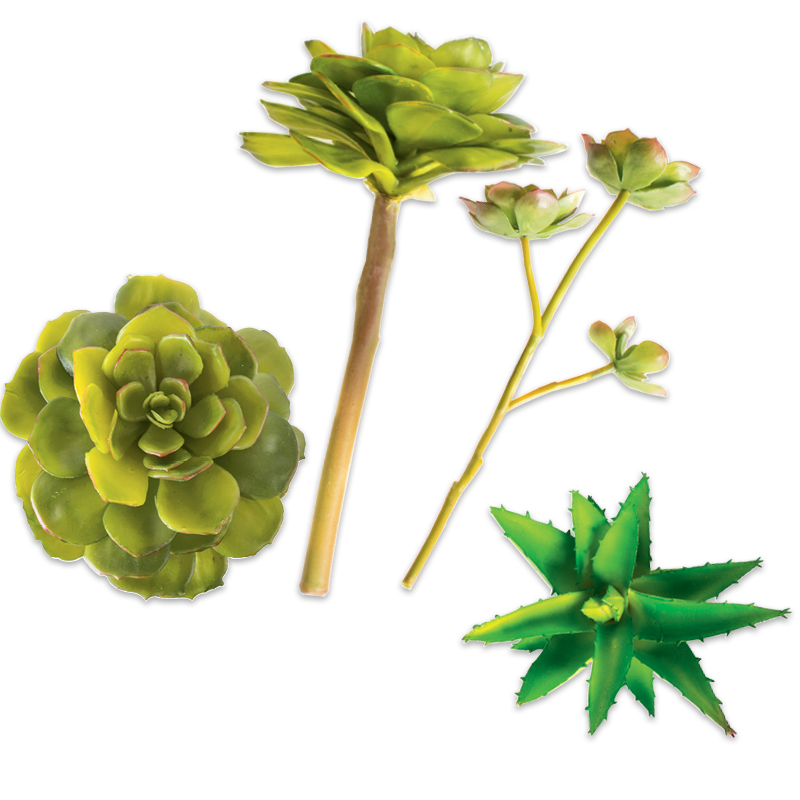 Design a succulent garden using stems ($9-$14) from Charleston Market. 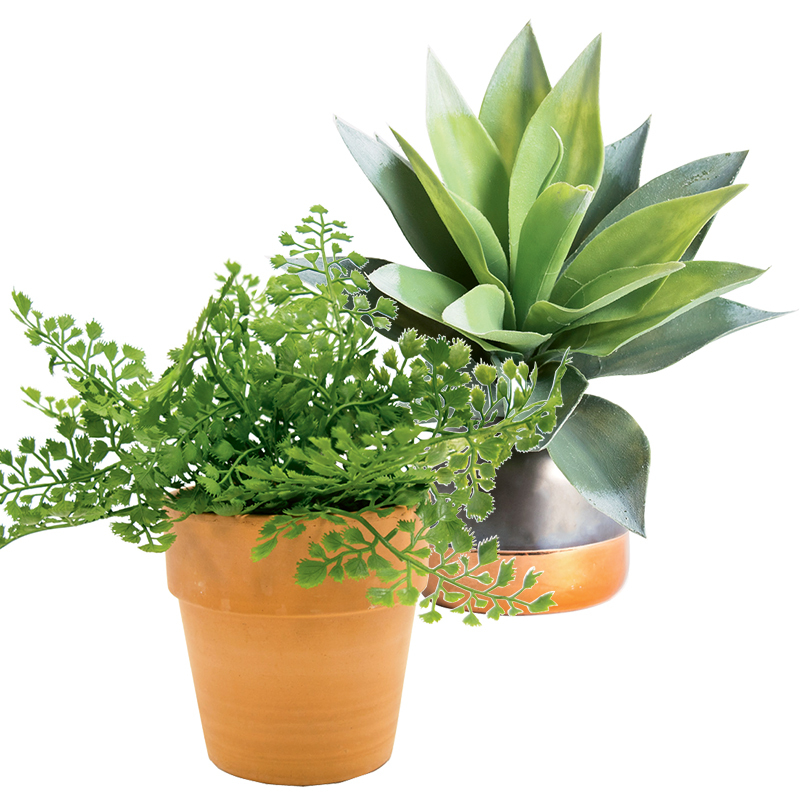 Charleston Flower Market may have the area’s widest selection of faux flora—from succulents to giant palm leaves—but the gift shop at Hyams Garden Center is also well stocked, and sweet boutique Fourteen & East has a small selection. National retailer Terrain is the go-to for anything big, including philodendron and the coveted fiddle leaf fig tree. The best imposters will make you do a double-take, but to avoid blowing their cover, bear these pointers in mind. ■ Place wisely: Situate fakes in environments where their real counterpoints might actually survive, and display them in appropriately sized containers. 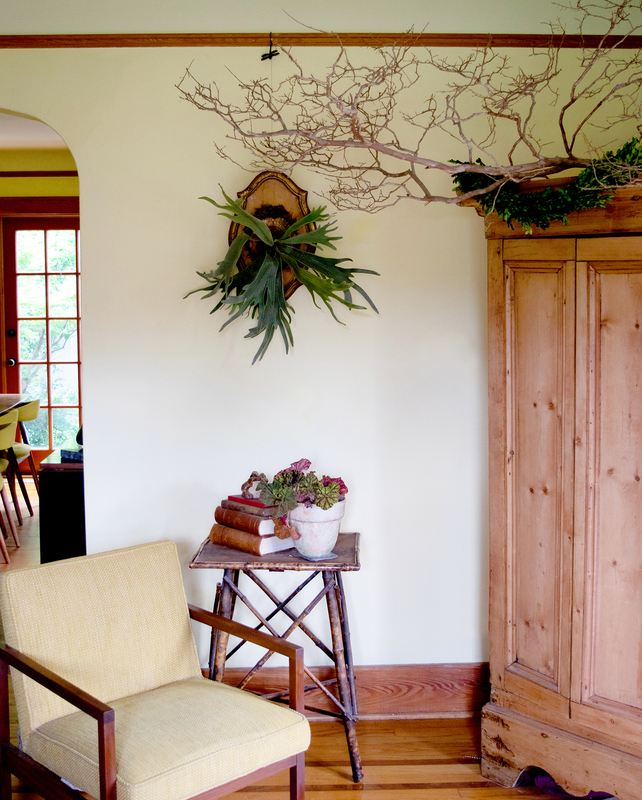 ■ Add organic elements: “We’ll attach curly willow to a silk orchid, just as we would a living one,” says Thackeray. Natural moss is great for top-dressing pots; garden editor Joan McDonald even used it to style a Flower Market staghorn fern. ■ Keep them clean: Dust leaves regularly, and watch out for fading. 1. Cut styrofoam ball in half. 2. Push the central stem of the staghorn into one of the halves of the ball. 3. Trim the stem so that it is flush with the flat side of the ball. 4. Glue the flat side of the ball to the frame. 5. Glue moss to the frame around the ball. 6. Hang for low-maintenance “natural” beauty.